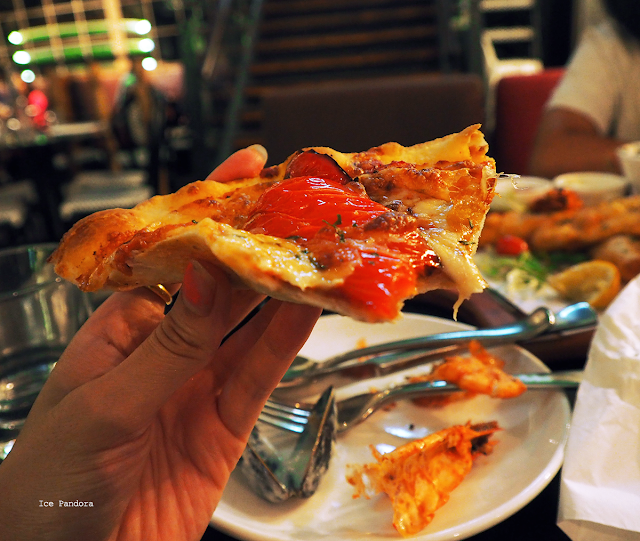 After a tasteless and glum pizza experience at Kitchen One Café (a fuller blogpost here) in Hong Kong I wanted to have another pizza but than in different and better restaurant obvious. 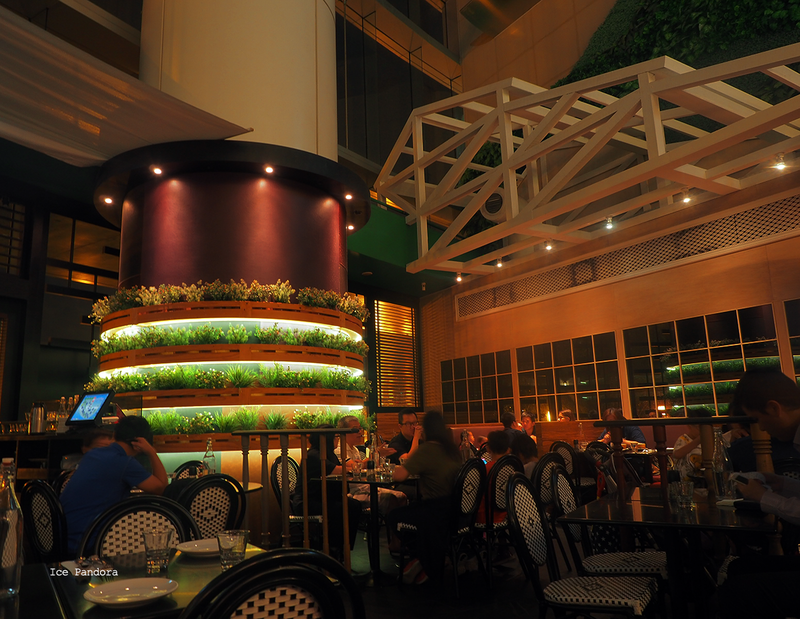 It's silly but the only decent Italian restaurant I know in HK is 'The Spaghetti House'. I've eaten before at The Spaghetti House and I loved it and so I was looking forward to eat at Spaghetti House again and to forget that Hong Kong has bad pizzas. I was in one of my favorite town Tsing Yi/青衣 with my aunt and I remembered that there was a Spaghetti House located at a mall. It was years and years a go since I have last eaten at The Spaghetti House and I prayed that the restaurant was still there. After a walk and a search we eventually found the restaurant but it turned out that The Spaghetti House was replaced by PizzaStage. Disappointed? A little bit. Curious? Kind of. Hungry? Very, and so we gave PizzaStage an honest go. 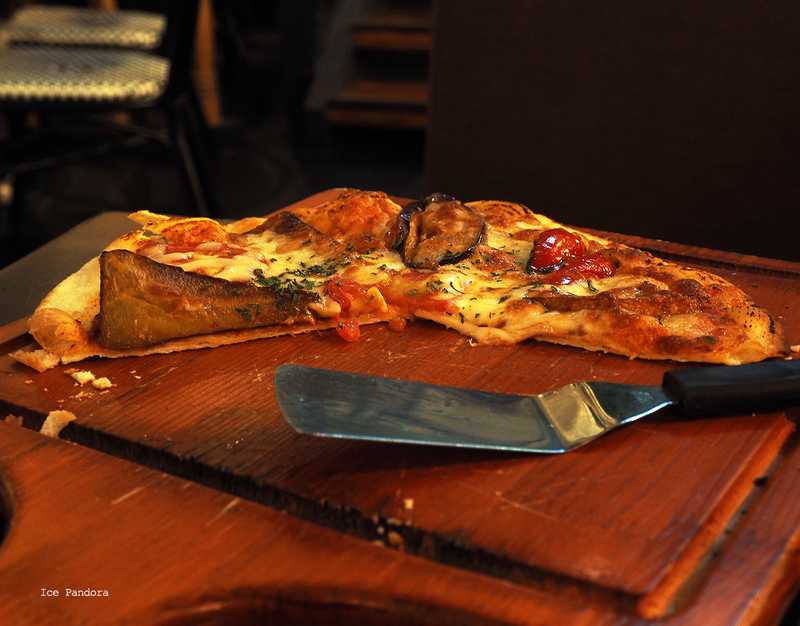 Na die belachelijke en smaakloze pizza bij Kitchen One Café (blogpost hier) in Hong Kong besloot ik om nog een pizza te nemen maar dan in een andere betere restaurant en dat doen we natuurlijk bij de echte Italiaan. Beetje stom maar de enige 'echte' Italiaan die ik ken in HK is 'The Spaghetti House'. Ik heb hier eerder gegeten en vond `t erg lekker daar en dus keek ik er weer naar uit om weer hier te gaan eten en tot de conclusie te komen dat HK best goeie pizzas heeft. 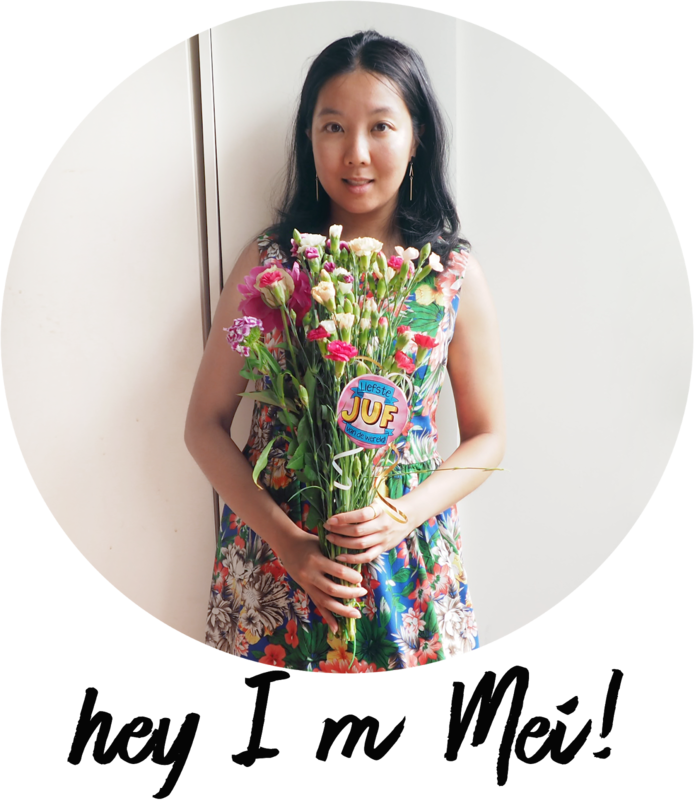 Ik was in een van mij favoriete HK plaatsje Tsing Yi/青衣 met mijn tante en ik herinnerde me dat er hier een Spaghetti House vestiging was. Het was wel jaren geleden dat ik voor `t laatst bij The Spaghetti House at en hoopte datie nog bestond. Na wat gelopen en gezocht te hebben, hebben ik en mijn tante het restaurant gevonden maar wat bleek - het was vervangen door PizzaStage. Teleurgesteld? Beetje. Nieuwsgierig? Best wel. Honger? Heel erg en dus gingen ik en mijn tante een poging wagen bij PizzaStage. 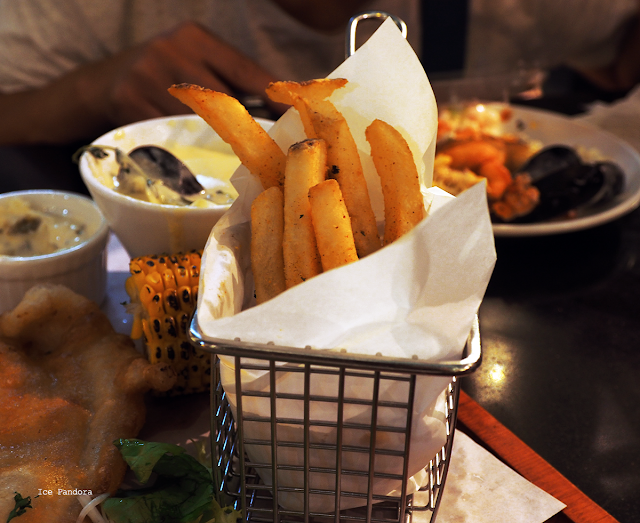 This seafood platter I`d like to say is an upgraded `fish & chips` dish and a well upgraded one too! 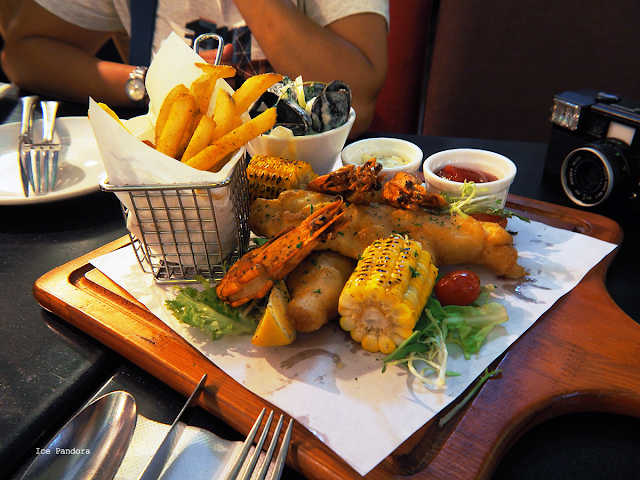 This platter serves 2 stomach but if you are very very hungry you can try eat this all by yourself but you should know that this platter is rich and generous filled with a bowl of mussels, shrimp, deep fried cod, roasted corn and a portion of herb fries along with sauces. Me and my aunt we are both seafood lovers and really enjoyed this platter a lot! 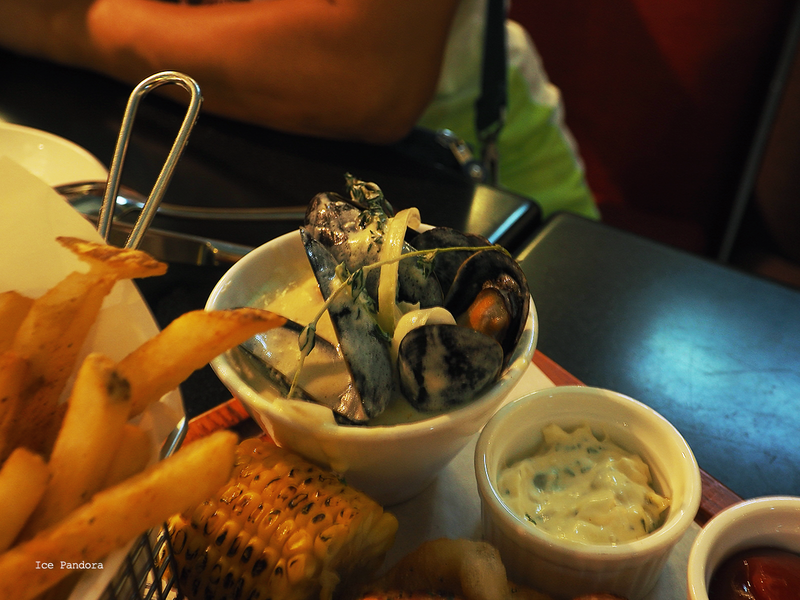 Hate or love eating mussels but these mussels were meaty and succulent (not a fan of this word but o well..). 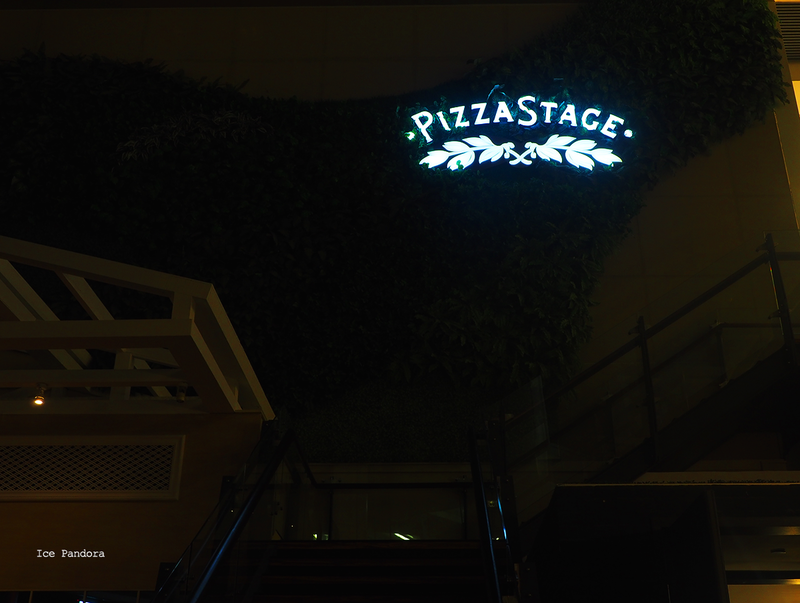 Because we were at a place called PizzaStage, we should also try out their pizzas right. And our pizza choice was a vegetarian pizza with the main toppings of bell peppers and aubergine. 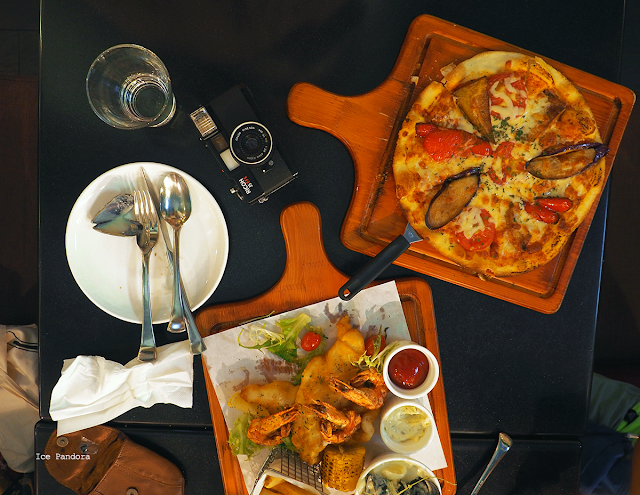 The pizza was freshly made and like the seafood platter it was richly topped with ingredients. The pizzabase was a thin one with a crusty edge. Yum! 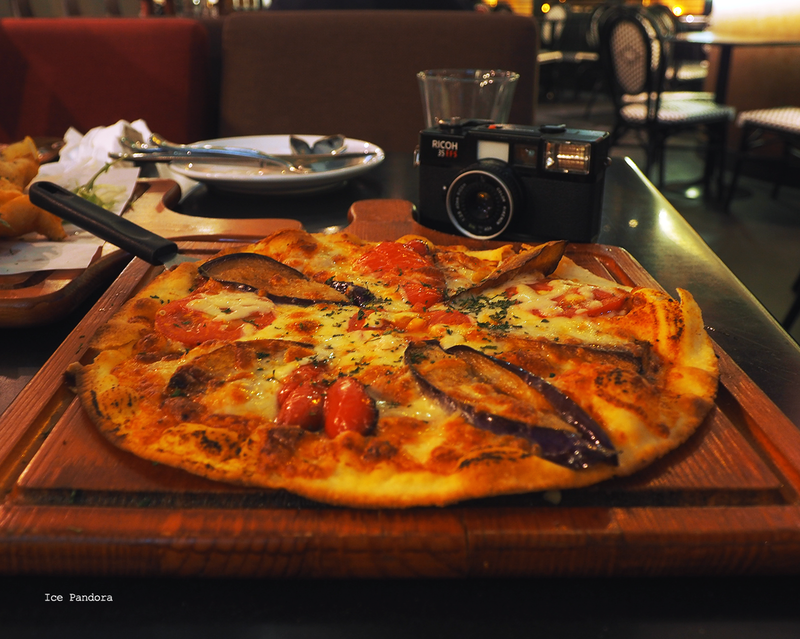 I felt pretty healthy still after this pizza ha. Spacious zen area with high ceiling, a good attempt on giving a modern European atmosphere if I may speak. Like I do with all my hotspot blogposts I always do a little background research on restaurants and read reviews before I post it online like making sure I have titled the dishes right or make sure I have the right links. 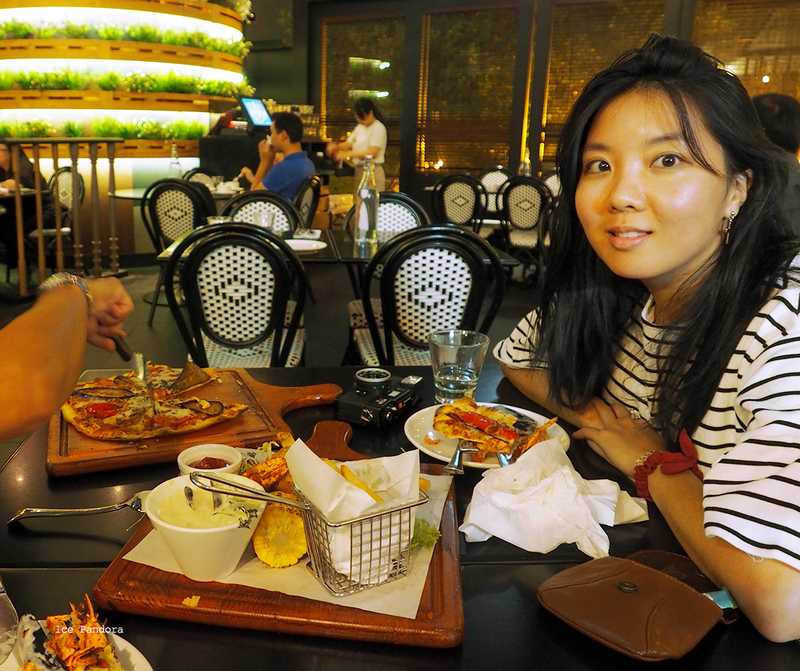 Also it`s nice and interesting to read what their history is and one of the things I`ve learned is that PizzaStage is part of one of the largest and most popular fast food chains in Hong Kong `Cafe de Coral`. Cafe de Coral! That`s my favorite low budget place to grab a full set lunch below 5 bucks.